As a stay-at-home-mom to 3 young kids, it seems my momiform can always use improvement. During my pregnancy and directly after the birth of my third, something clicked for me. I realized that the level of my mood and motivation had a direct link to the way I was dressed and to the level of cray-cray, aka, messes in my house. Having struggled with some baby blues during the first year of my second child's life, I knew I had to make an effort in order for that not to happen again with my third (who is now 6 months old). A few simple things that I now do on a daily basis have vastly helped to improve my mood and especially my productivity. #1 - which ties heavily into this post - is to GET DRESSED. It doesn't matter too much what, just not. those. pajamas. But I still get more done and feel more motivated in non-yoga pants. #2 - Make the bed. Seriously. It blows my mind how much better I feel when I walk into my room during the day and see my bed made. #3 - Clean the kitchen every night before going to bed. It is like a breath of fresh air to walk into a clean kitchen at 6am. So to get us started, here is a peek at what my momiform has looked like this summer, I am only 6 months postpartum, my clothes still don't fit exactly like they should, so it's not great by any means. BUT. It's not workout shorts and tees ;) I didn't want to spend a ton of money for my changing body this summer, so my everyday wardrobe consisted of Old Navy shorts and Target tees. While not horrible, and it made me feel like I was getting "dressed" every day, I still was/am feeling drab and the clothes, especially the shorts are pretty ill fitting. 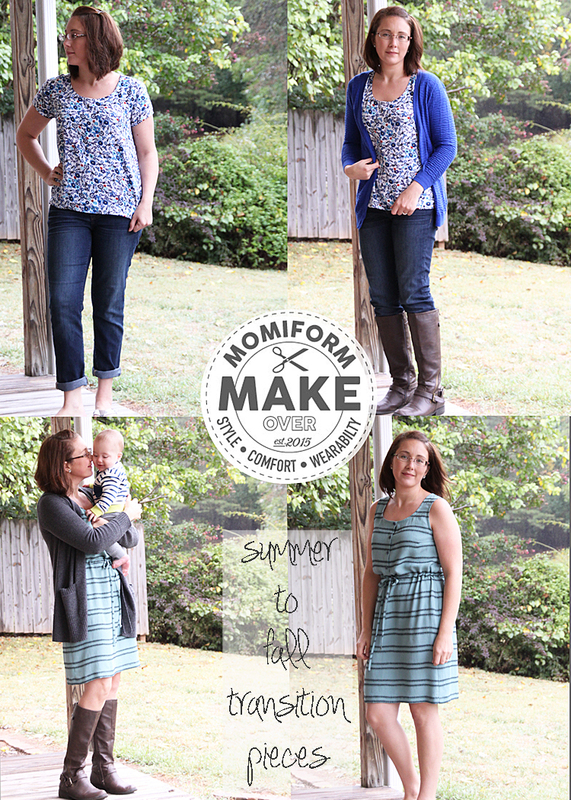 So when Lauren invited me to join in the Momiform MAKEover, I happily accepted because I am so ready to elevate my wardrobe! My idea for the 2 pieces I made are to transition from the heat we've been experiencing this summer to the cooler fall that we finally are getting a taste of, yay!!! and even into winter. But also pieces that are practical and easy to wear but still look and feel put together. 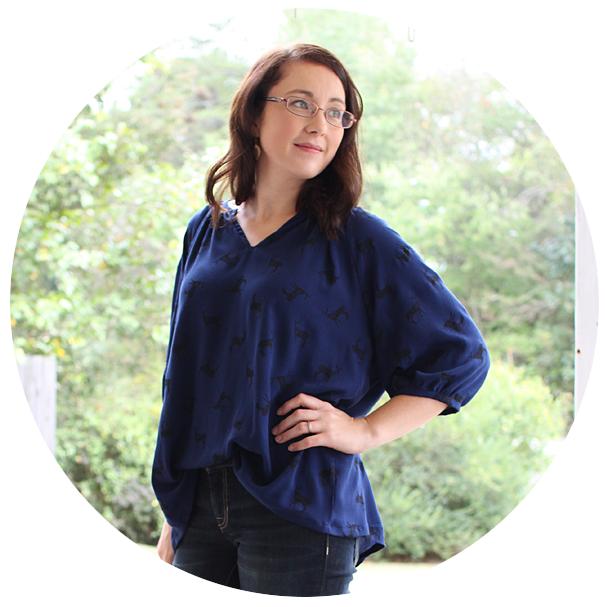 The first piece I made was the ever popular Scout Tee by Grainline Studio. 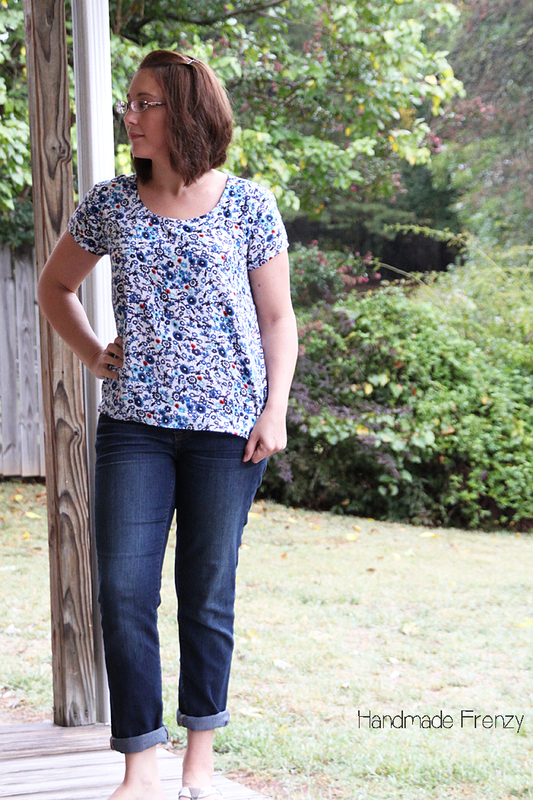 I wanted an easy to wear top that was comfortable and moved with me, but still a step up from a Target tee. I definitely got that with this pattern! I feel like it's definitely more than just a step up but is still as comfortable as a knit tee. That to me says a lot about a pattern for wovens! For summer, it pairs easily with just cropped pants or shorts & sandals. Yet, I still feel put together when I wear this. 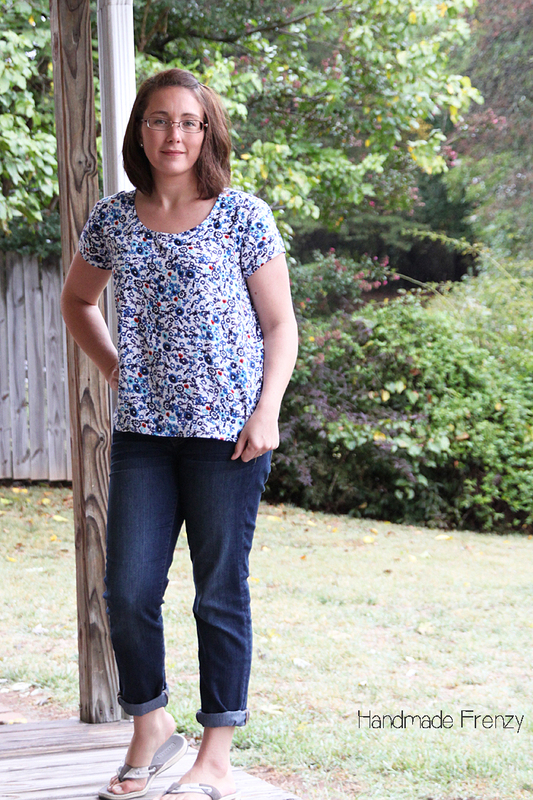 And it's easy and comfortable enough to wear all day at home or when I need to run errands. The fabric I got from Joann's, it's a 100% cotton apparel fabric, and that's about all I can remember. It flows nicely but is still super lightweight and opaque, which I LOVE, because in the summer, wearing 2 layers is not my jam. 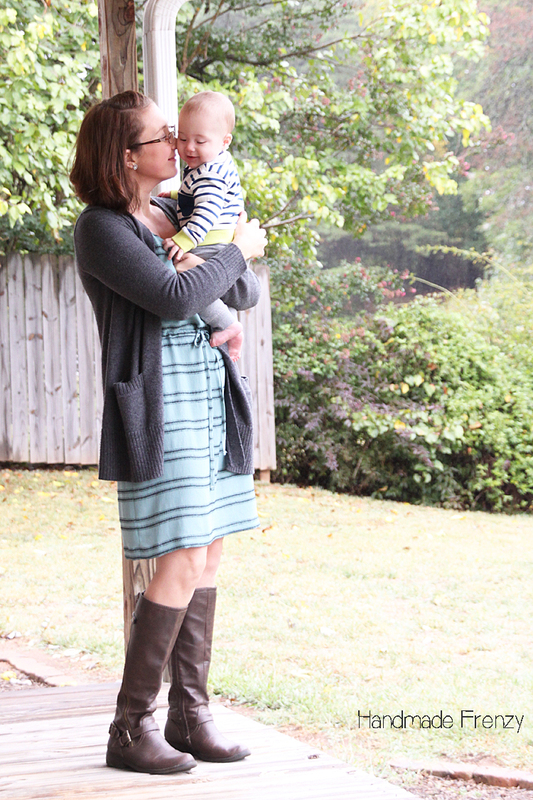 I made the Southport Dress by True Bias and used a textured rayon from Fashion Fabrics Club. 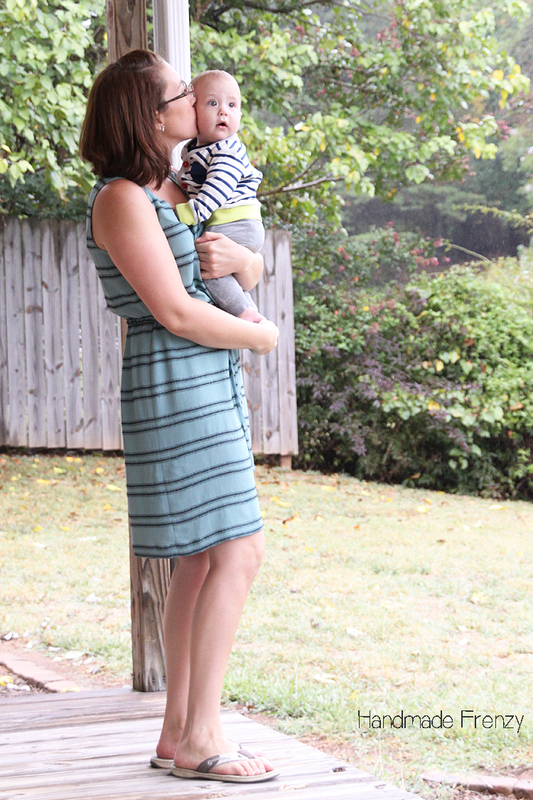 I really wanted an easy to wear dress that would work for summer, errands, carrying the baby, outings, and one that covered in all the right places. 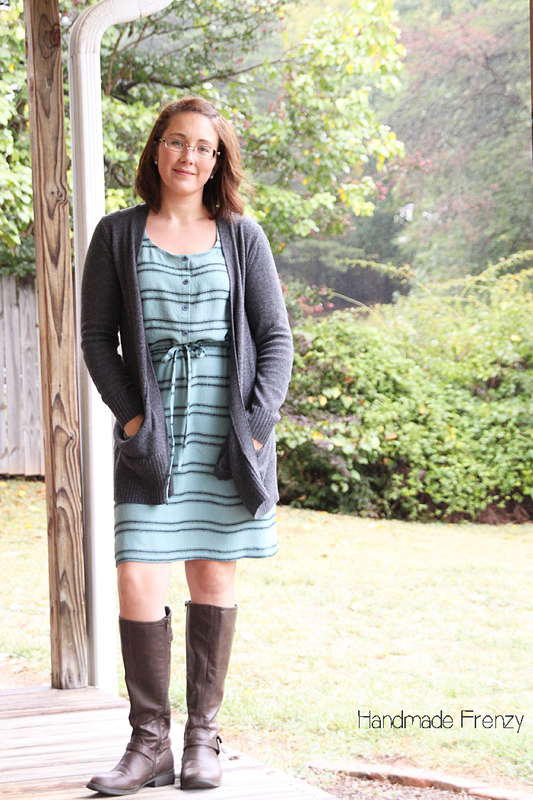 I felt like this was a tall order, but then Kelly released the Southport Dress pattern and I knew it could be the one. It is everything I hoped it would be and so comfortable too! And look at how it cozies up for fall!! Swoon. 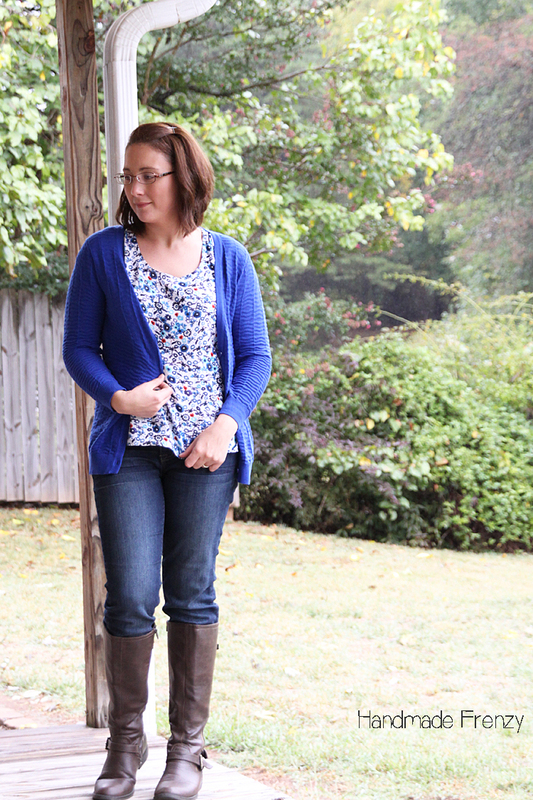 The cardi is one I got at Old Navy last fall when my growing belly got too big for my coats to close over it. 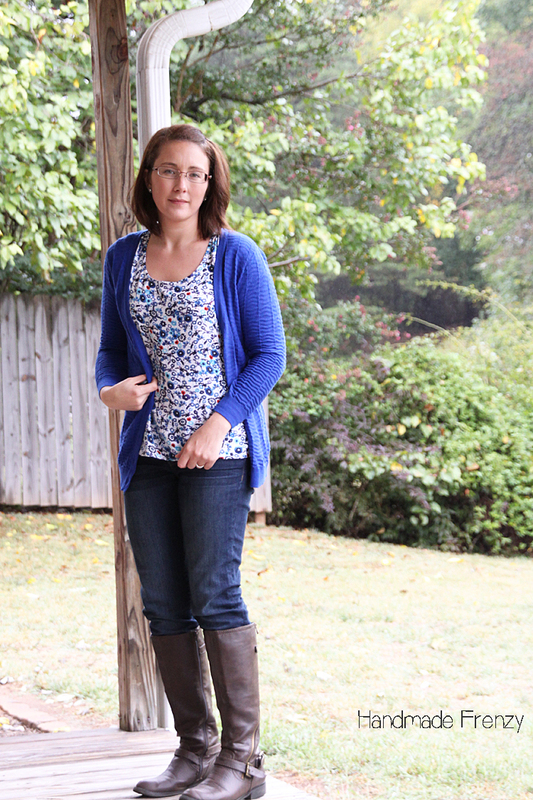 It was a HUGE favorite last fall/winter and I was so excited to pull it out again this year. Combine what is my new favorite handmade item, my slightly sentimentally favorite cardi, favorite boots and I'll just live in this from now on, m'kay? When I was taking these photos I kept wishing for a hot cup of coffee. Participating in this series and sewing just these 2 pieces has given me a serious burn to sew all. the. things. for myself. I have a few more items I hope to get done soon and hopefully get a chance to blog them too. Don't forget to enter this way awesome giveaway Lauren has put together! Some serious sewing loot is to be had! You are fabulous! And that scout tee is perfection! 😍 another pattern to add to my wish list! I'm not sure how you pick a favorite feature on a machine like that but those thread cutters would be pretty cool! Oh I love the pictures with your cutie baby! Love how you styled both pieces and you look fabulous! A clean kitchen really is the second best way to start the day (the first being actually sleeping haha). So excited for fall! Heidi, I loved the post! I try to do those 3 things each day too! And you are right, they really make a difference, but some days call for yoga pants ;-) The dress and shirt are both amazing and you look fabulous in them! My favorite feature of the sewing machine, 170 stitches. Great colour combinations. 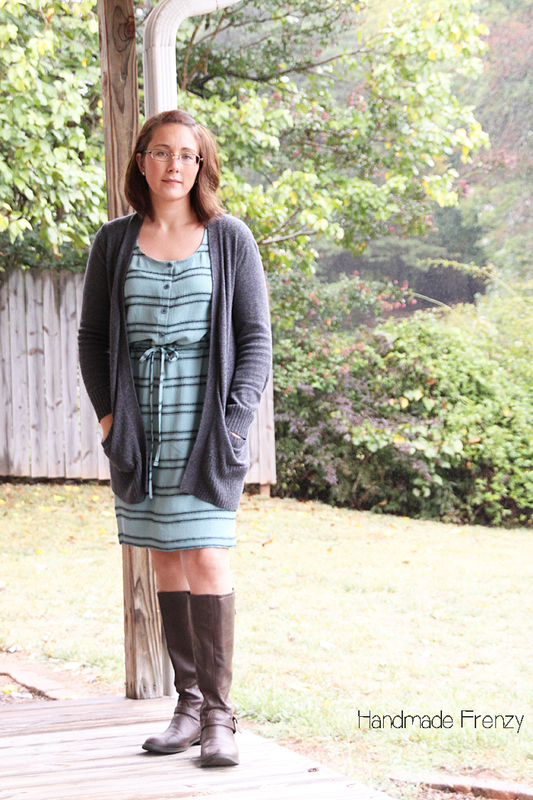 I like how you combined the dress with the cardigan, that is a great fall outfit. Well done on those perfectly matching stripes! The dress is really lovely - lines so nicely matched and a nice straight hem, too! If the fabric was tough, it doesn't show. 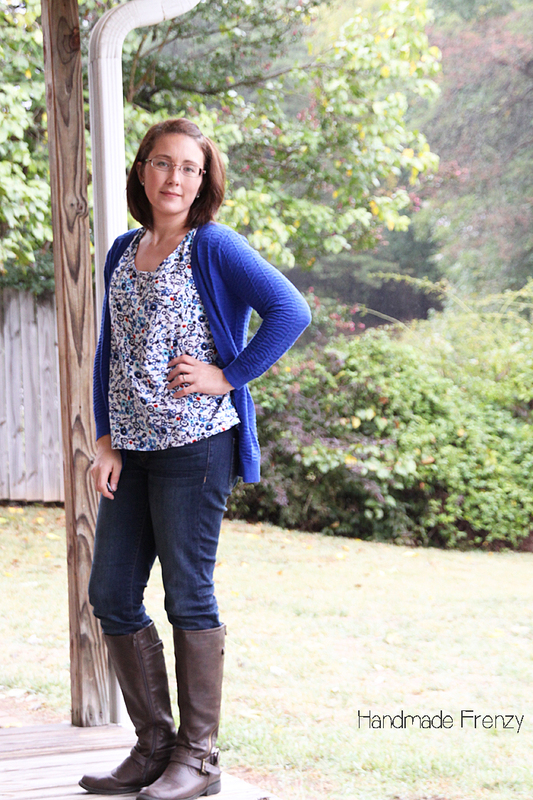 I love how you showed each look transitioning from summer to fall. And I'm with you on this series prompting me to want to sew even more for myself!